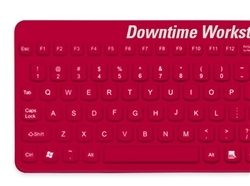 If your hospital uses Downtime Workstations for your EMR software, then this specialty Medical Grade™ keyboard is a must. 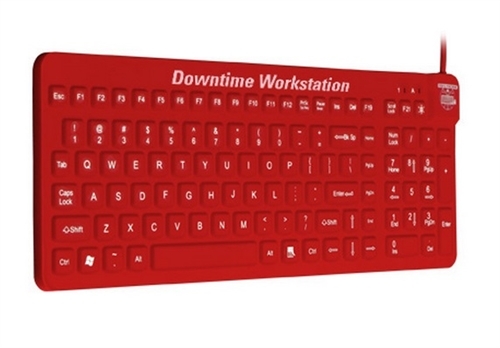 This red keyboard will immediately let staff know which workstation is available during planned and emergency server outages. No little red stickers for doctors and nurses to try and locate. 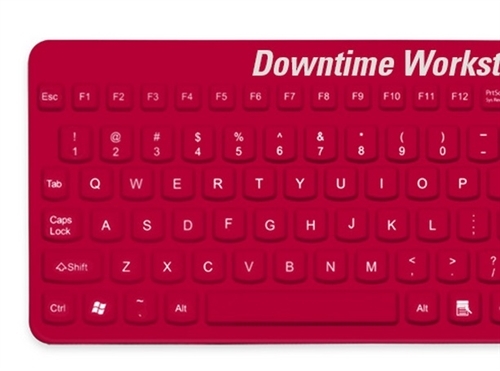 This keyboard eliminates confusion and acts as a bright red beacon during hectic downtime situations. The E Cool is identical to the Really Cool LP with the added feature of a red design with big bold “Downtime Workstation” lettering for easy identification. The firmware is also enhanced with Cool Connect, to help identify if the keyboard’s USB has been disconnected. Pair with a red Petite Mouse and you have the solution you’ve been waiting for.Provides assurance to IT team that only the E Cool keyboard is connected at the Downtime Workstation.Using Cool Connect, your IT team can create their own applications to alert them to any removal of the E Cool keyboard from the Downtime Workstation, preventing a user from installing a standard keyboard on this special work station.